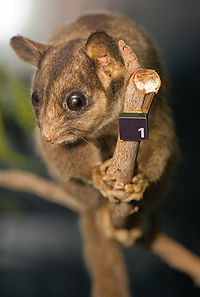 Gymnobelideus leadbeateri in Mammal Species of the World. Ann. Mag. Nat. Hist., ser. 3, 20: 287. This page was last edited on 24 February 2019, at 11:04.